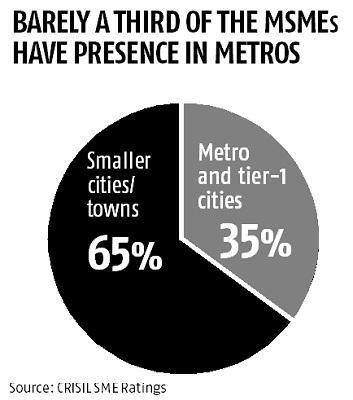 Two-thirds of the micro, small and medium enterprises (MSMEs) rated by CRISIL operate from non-metros and smaller cities/towns such as Guntur, Gulbarga, Guna and Guwahati — this, despite the fact that three-fourths of their key clients are headquartered in metro and Tier-I cities. The primary reason why these MSMEs lack a presence in big cities is the cost involved — real estate, overheads, and so on. In this context, CRISIL believes co-working spaces are a flexible and cost-effective solution for MSMEs to have a full-time marketing or customer support/service team closer to their clients. The concept has become increasingly popular among start-ups in the IT and ITES sector, apart from consultants, freelancers, and even large corporates. It is slowly attracting interest from SMEs, too. Co-working spaces offer ready infrastructure at affordable rates. This helps businesses save on upfront capital investment on lease/rent, interiors, and furniture, as well as fixed expenses on day-to-day operations, such as electricity and security. Besides, the space leased/rented may be bigger than these entities really require. Indeed, some co-working spaces having a multi-city presence even offer their clients an option to operate from any of their spaces across locations, cities and even countries. 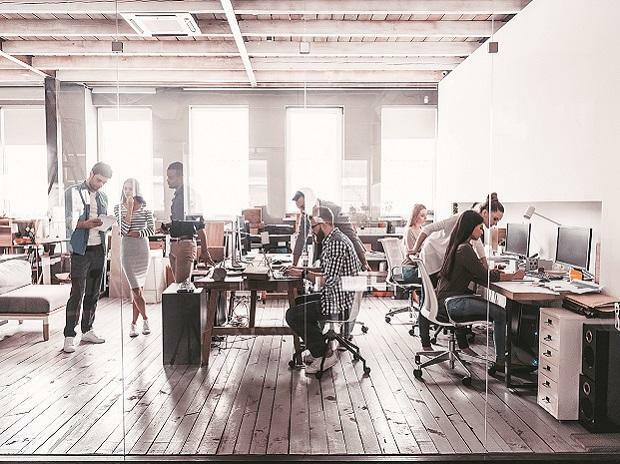 Of course, shared workspaces have their share of negatives as well, such as lack of privacy, risk of data and intellectual property theft, and a crowded and busy work environment. Overall, though, these spaces can help MSMEs expand their business multi-fold by being located closer to their clients, besides being able to attract talent, and networking on private social networks.